I guess you're not the music fanatic I am. ~grin~ Be well! I wasn't an Elvis fan, but my mother was. I've no idea what I was doing that day. I was a huge fan of music, but mostly rock and roll and soul music. That's interesting, because I think of Elvis' music as rock and roll with rhythm and blues / soul influences. ~grin~ Be well, my dear! 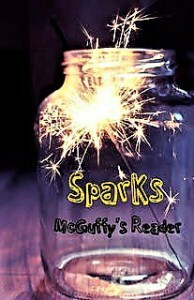 Nice spark. I was 8 when he died and I know my mom was upset. Aw... A woman who would later become my supervisor at a job was pretty upset. 1977? Yeah, I don't know for sure. It was the summer before I started 1st grade. Hahahahaha... I thought as much. Be well! At 14, i was sad but not excessively so. It was more a feeling sorry for his family, and for Grandpa who was a huge fan. He hit it spot on with this, didn’t he. You are such a kind person by everything I read. Be well! I remember but don't really remember what I felt at the time. It was a long time ago. ~nods~ Be well! I would not know what I was doing August 16, 1977 (and I probably wouldn't know now had you not gave me cause to remember) if it were not tied to such a memorable event. DH & I were dating at the time. We were sitting on the sofa watching TV when a newsman came on the air announcing the King's death. I was stunned. I don't know if I was sad but I was really shock by the news. Elvis's words are wise. You just can't block the truth, it has a way of shining through at some point. Thanks for visiting and have a sparkletastic week, my friend! That's neat! And your closing words are fun. Thank you for stopping by! Wise words to always remember. The sun will come out tomorrow. :) Never forget that on a sad or dreary day of life. I too remember exactly where I was, what I was doing when my mom called to tell me. She loved Elvis. I was working the gift shop at the Hermitage Home of President Andrew Jackson. It was pouring down rain and folks had poured in the shop to get in out of the rain. It was packed....that was a horrible day.